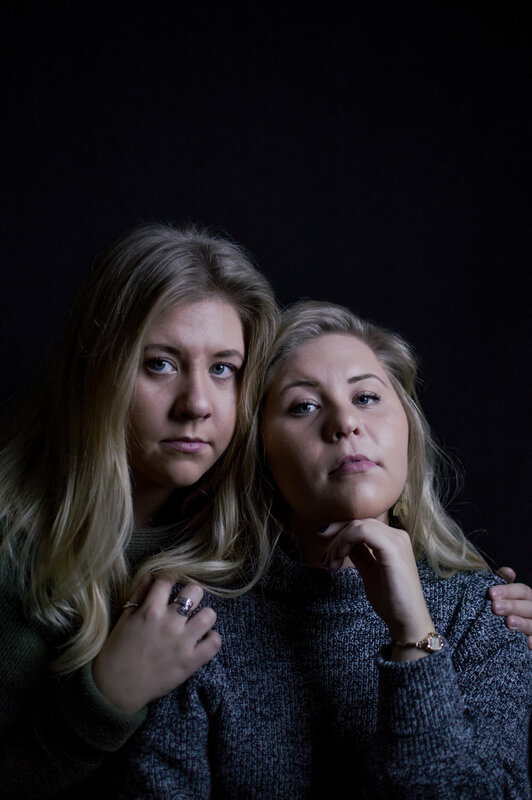 22-year-old twins Stephanie and Laurie Peterson are not only graduating from George Fox University (GFU) this semester, they have developed their own photography and videography business called The Pair Visuals. Hailing from White Bear Lake, Minn. they came to GFU to pursue their passions of photography and videography in a small, Christ-centered community. “We felt led to take the risk and go,” said Stephanie. Integrating music with videography has always been a special inspiration of Laurie’s. “Music is really important for me because it achieves more emotion, and impacting people through video [has] been my passion,” she said. For the twins, GFU has been full of wonderful people and resources. “It has caused me to grow in a lot of ways—spiritually, mentally, and emotionally,” said Laurie. The Peterson sisters both loved visually conceptualizing stories as kids and have always wanted to create a business together. They felt that this was the right time because they have the confidence, experience, and training. Brainstorming and conceptualizing together is a constant between the two. “We both have different roles in our business, but we have entirely one vision and one idea,” said Stephanie. Jeff Cameron, Assistant Professor of Graphic Design, helped solidify the twins’ creatively fitting business logo of a pear cut in half. “They have everything they need as far as skills, determination and ability,” he said about their business. The Petersons have built their professional portfolio through portrait sessions, documentaries, weddings, and work with local businesses like Newberg Tourism. A recurring theme in their productions is being real, authentic, and vulnerable. Their advice to other creative individuals is to work on their own passions, through and outside of the classroom. They encourage others to keep making work, taking risks, and growing from constructive criticism, because the reward will be great. “Where we can provide photographic and video documentation in all aspects of clients’ media needs,” Stephanie added. To contact Laurie and Stephanie Peterson or check out their work, you can find them on their social media accounts through the handle @thepairvisuals, through their website: thepairvisuals.squarespace.com, or email them at their business address thepairvisuals@gmail.com.